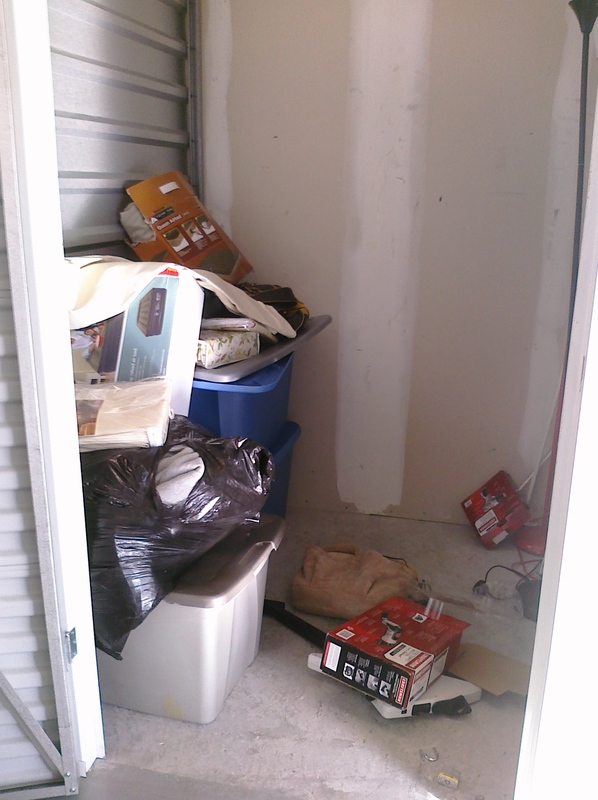 My Experience Buying a Locker at a Storage Auction! 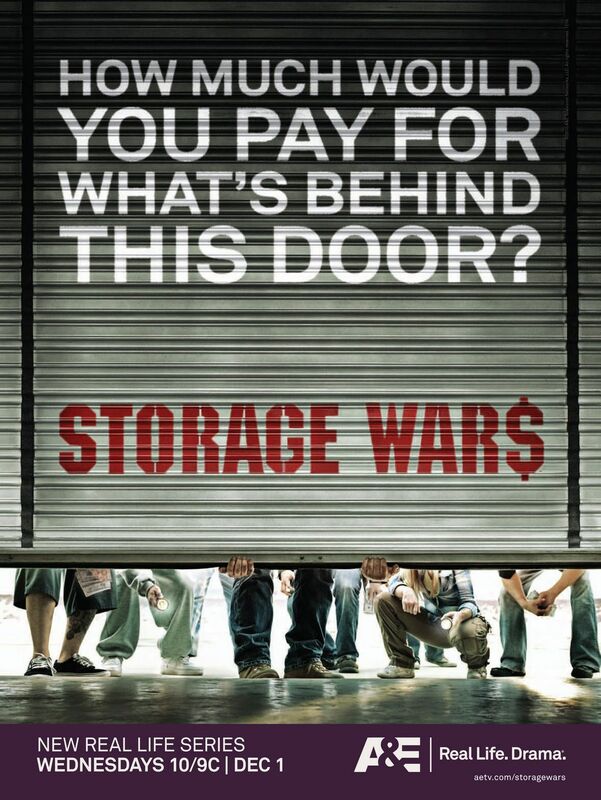 With the popularity of shows such as Storage Wars and Auction Hunters many people have become curious, myself included, about Storage Auctions. Well it just so happens that I have an Uncle who buys storage lockers at auctions just like the ones you see on TV. He lives out of state but I have had several fun conversations with him about his finds. I can’t list his findings because it goes against the code of storage auction buyers which requires secrecy. Let’s just say he has done very well. Recently my uncle came to stay with me on vacation. He was interested to see the difference between Florida Auctions and the ones he usually goes to. He decided to take me to an auction. We got up early one morning and bought muffins from a gas station for breakfast. When we arrived at the Storage Center we parked and watched as the long line of cars, belonging to people attending the auction, grew. There were probably 30-50 people there to see the 6 lockers that were being auctioned that day. I didn’t bring any money and was just there as an observer but it was easy to see why it was exciting waiting to find out what was behind those steel doors. What surprised me most was that you didn’t need a huge amount of money to buy storage lockers, even with the popularity of the show. The other thing that surprised me was that you could often see a lot of what was in the unit before you bought it. The TV shows make it seem like a lot of guess work and it is but certain lockers are higher risk than others. Boxes and containers that you can’t see through could hold stacks of dollar bills or trash. I also didn’t know that there were additional fees that you would have to pay when buying lockers such as the fee to the storage company and the holding fee to reserve the unit until you finish emptying the locker. Always call before an auction to find out about fees and also to make sure the auction has not been canceled because many people pay off their debt to the storage company at the last minute and the auction is canceled. Of the six lockers we saw auctioned, one had a lot of furniture that looked like it belonged to a teenage girl, one was a huge record collection and a drum set, and one looked like building supplies. The last one had purses and clothes (see below). It was at the last locker being auctioned that my uncle placed a bid twice and won the auction! I was surprised, thinking that we were only going to observe but I think he wanted me to have the full experience of buying a storage unit. I would be lying if I said it wasn’t really exciting opening the plastic storage boxes inside the locker. My uncle had intentionally bought a very small locker because we had to fit everything in his rental car with us. You aren’t allowed to throw anything away at the storage center. After the auction we spoke with one of the other buyers who had actually found a brand new X-box in his unit that he had only paid $75 for. He was happy with some of his other finds and was willing to speak with us. My uncle warned me that many storage auction buyers are very secretive about their finds. 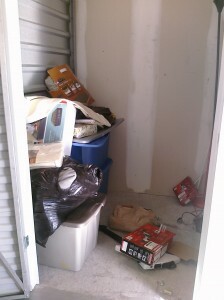 We used gloves to process the items and go through them more thoroughly, in my garage, throwing away any trash. Our locker had a lot of clothes, shoes, purses and household items. Unfortunately very little was in my size but I plan on trying to consign a lot of it. We didn’t find any dollar bills but we did find some coin change and we did find two bracelets that I’m still not sure if they are gold or not. My uncle and aunt warn that one of the biggest problems with buying storage lockers is storing and then getting rid of the items that you buy because they pile up fast. I still have almost all of the items from the locker we bought in my garage waiting until I have time for a yard sale and to make it to the consignment store. I would love to go to another auction but until then I’ll enjoy watching the show and talking to my uncle and aunt about their experiences and the crazy and sometimes valuable things that they buy at storage auctions. 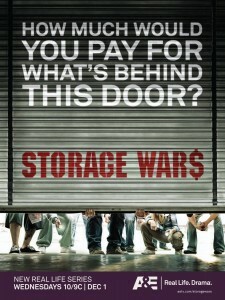 I know that many of us are huge fans of the show Storage Wars. Could it really be that easy to buy and sell storage lockers? 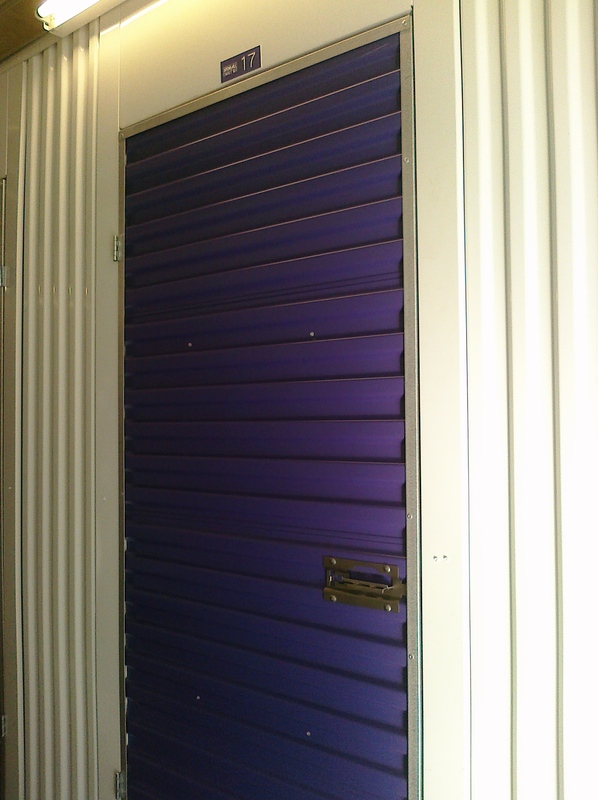 My uncle who buys storage lockers was in town and took me to an actual storage auction where we bought a unit.